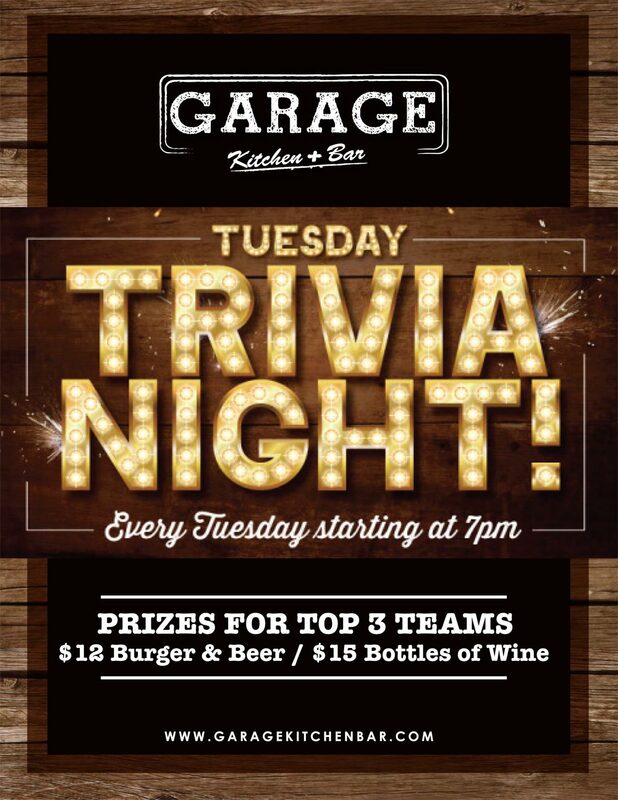 Bring all your smarty-pants, know-it-all friends down for a night of brain crunching TRIVIA. Enjoy $12 Burger & a beer, & $15 bottles of wine. The fun starts at 7pm, Prizes for top 3 teams.